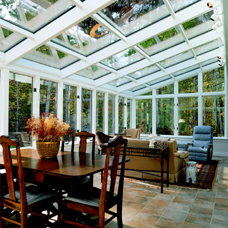 Designed for year-round living, the Four Seasons sunroom or conservatory can be customized to fit your lifestyle and will enhance the beauty and value of your home. 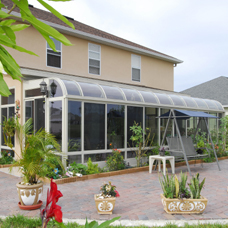 The Curved Sunrooms, Straight Sunrooms, and Conservatories will add light, elegance and spacious look that will blend perfectly with any style home. 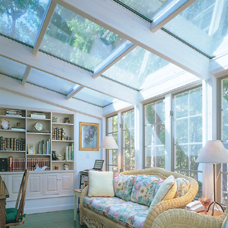 All of these rooms are custom designed so they can come in a variety of sizes, roof styles, frame finishes, door choices and many other features.